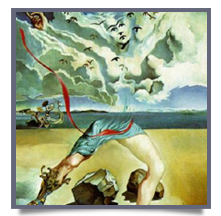 Psycho-somatics* in the field of psychotherapy draws upon many theories about the way in which memory, narrative, emotion, cognition, perception, feeling and expression all interact. Before I say anything more about this fascinating and important area, let me clear a myth or two. Firstly, Its Not All In Your Head! The study and practice of psycho-somatics is not a way of saying that your problem is all in your head. No one should ever say that! It is psychologically and medically misguided and utterly unhelpful. There is always a reason that you are having an experience, the task is to understand the reason. Secondly, my work includes the notion that psycho-somatic states are not only states of illness**. In fact, a person is always in a psycho-somatic state, that is our ordinary way of being. Your body and mind are so interlinked that they act as one thing, called a functional unity, or a body-mind. Many kinds of issues can affect this “functional unity” of body and mind. Trauma, illness and injury, long term stress and all kinds of developmental issues are the most common examples. When this happens we experience rigidities, pain, disconnections, weaknesses, immune and other dysfunctions including alterations to mood and changes in cognition and perception…to name a few. These are seen as dis-integrations of the functional unity, and they require at least a specific understanding of the way that the mind works (psychotherapy). They often respond well to an understanding of the way that the psychological (nervous and emotional) energy of the body works (somatics), and finally a way of working with all of these areas. So if you are experiencing physical symptoms which cannot be medically diagnosed or are resistant to treatment then there is a good chance that it is psycho-somatic. In fact in many cases of medically diagnosable symptoms there is also a concurrent psychological component. Psychotherapy with a view toward the somatic (bodily) level of experience offers much to those dealing with physical and or medical issues. Julian is a member of PPDA – the Psychophysiologic Disorders Association, and subscribes to their treatment protocols. For more information, visit there here. If you want to take the journey toward psycho-somatic wellbeing then call for an assessment interview. *The term psycho-somatics has a long history and is now used slightly differently in the interlinked but sometimes separate fields of psychiatry and psychotherapy. In psychotherapy a better term might be psycho-physiological disorders (PPD). ** Outisde the field of psychotherapy, Candice Pert PhD. probably first coined the term ‘Psychosomatic wellness’ addressing this view. Call (02) 9369 3906, and ask for Julian Zanelli.